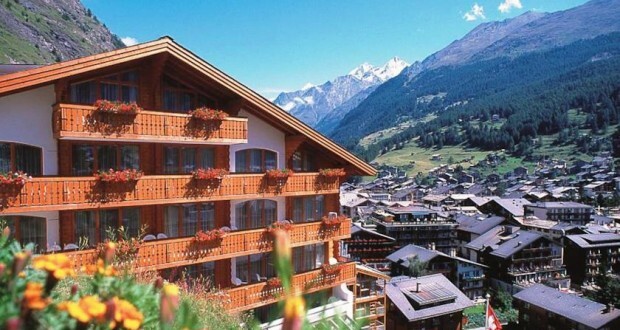 The Hotel Tschugge is very quietly located just off the main street of Zermatt, about a 4-minute walk from the train station, where also the Gornergrat cog train and the ski bus depart. The famous Felsen-Restaurant is built directly into the rocks and offers tasty Swiss and international cuisine including scampi and grilled meat specialties. The Felsen-Bar is a cozy place for having a relaxing drink and the inviting lobby features a fireplace and an internet corner. After a grand day out in the fresh mountain air you can unwind in the new spa center of the Tschugge hotel, offering a sauna, 2 whirlpools, a steam bath and an adventure shower. From December to April a scheduled shuttle service from the train station to the hotel and back is offered free of charge!